There are a few key things that I like about this next ride. FIRST, is the color. I'm a sucker for bronze/copper/gold paint that doesn't look like something aftermarket rattle can job...and this looks appropriately bronze without the brassy tones you'd expect from a bad dye job. NEXT, the price is reasonable. And finally, those two little letters HF means high fuel economy (42mpg city, 50 mpg hwy) which wasn't achieved through hybridization but through weight loss and incredible gear ratios. 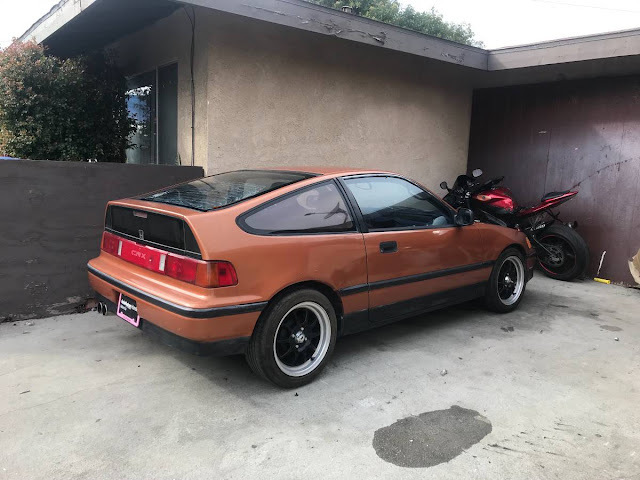 Find this 1988 Honda CRX HF offered for $2,800 in Long Beach, CA via craigslist. Tip from FuelTruck. 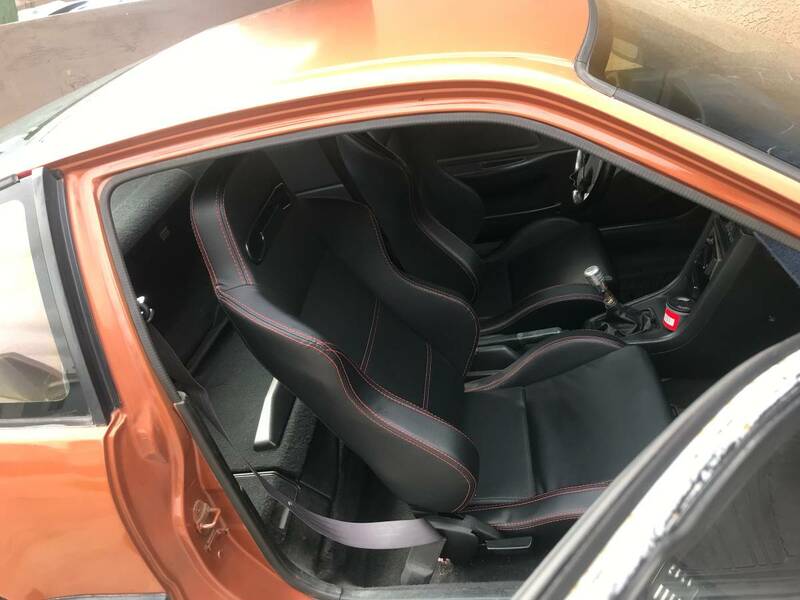 It’s my daily driver to work ( only 3 miles round trip ) and was planning on keeping it but will be leaving to the military this year and found it best to find a buyer now. If not, it’ll just sit at my grandfathers house in his garage. 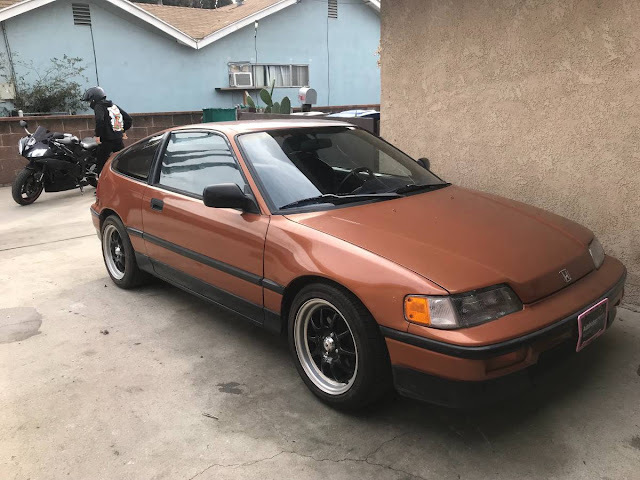 Rather pass this clean CRX to a new loving owner! Like I said, it’s my daily driver. Nothing preventing it from driving fine as-is. That's slick little ride for the price point. It looks barely broken in for a Honda. I remember one of the car tags reviewing these when they first hit the scene. The author of the review made a note of saying that the Si was definitely the one to get, as HF should have stood for "Hardly Fun." DT says it's bronze paint, seller says it's orange paint, painted door latch striker things say it's freshly painted. The key to this car's longevity is probably that the HF is kind of overbuilt / underpowered compared to the Si and thus is both inherently more durable and less likely to get thrashed by the thrill seeking element.